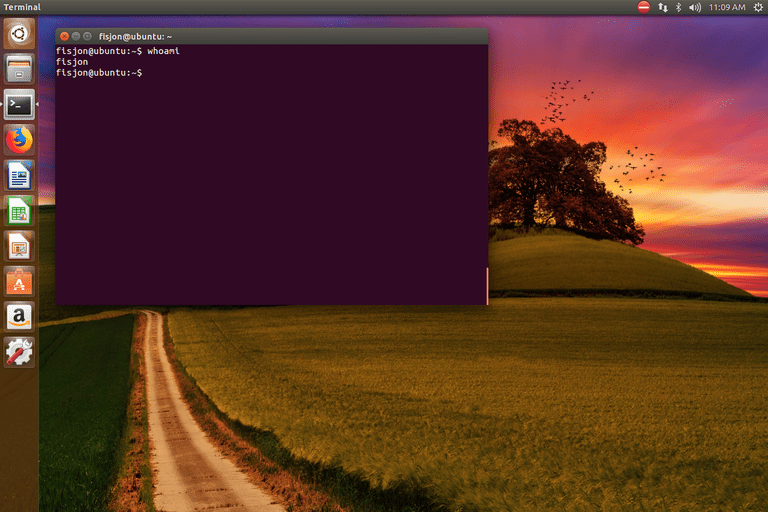 The ﻿whoami command lets you see which user account you're logged in to from a terminal window. This might seem pointless since you should know which account you're using, but it's not always clear when you're working in the command line. For example, maybe you're working with an application that required you to log in as a different user, or maybe you've switched users so many times that you've lost track of whose credentials are currently active. This guide shows you how to use the whoami command and the id command to find out who you are currently logged in as. Then, if you run the whoami command again, you'll be told that you're root. In a strange circumstance where whoami isn't installed, there is another command you can use that can tell you your current username. The result is exactly the same as the whoami command, so in our example, it would display jacob. The id command can be used to show more than just the current user. It can also show the user id, group id, and groups that the user belongs to. You can use the --help switch with either whoami or id to find out the current man page for each program.